As someone who usually writes at home, I find it very important to keep my home office pretty, if not organized. And although I’m happy with my creative space now, it’s always nice to find inspiration from others. 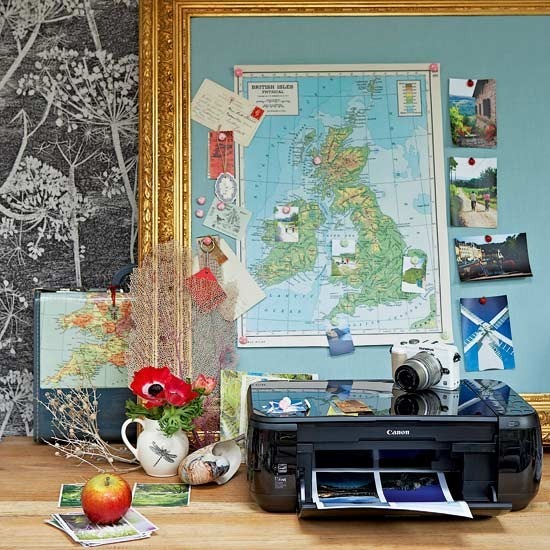 A workstation solely dedicated to my travel photography… that would be a dream come true! I love the framed mood board in powder blue! And the carefree placement of the maps. The color-scheme in this lovely corner is so relaxing. Each item has been carefully selected and the overall effect is pleasing to the eye. Although the mood board is the focal point, the modern lamp steals the scene. 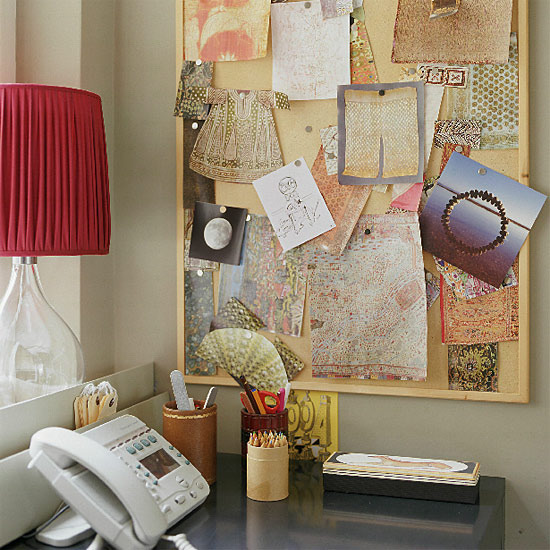 It’s one thing to organize your home office, but to do it with style is another. 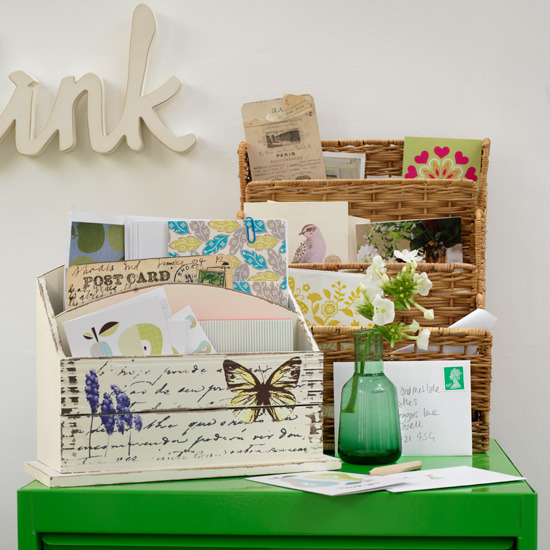 Here, the unique bill organizers serve as catch-all for photos and postcards. It takes patience to scout for office organizers that are not only pretty but functional. And if you can’t find any, you can always make your own! 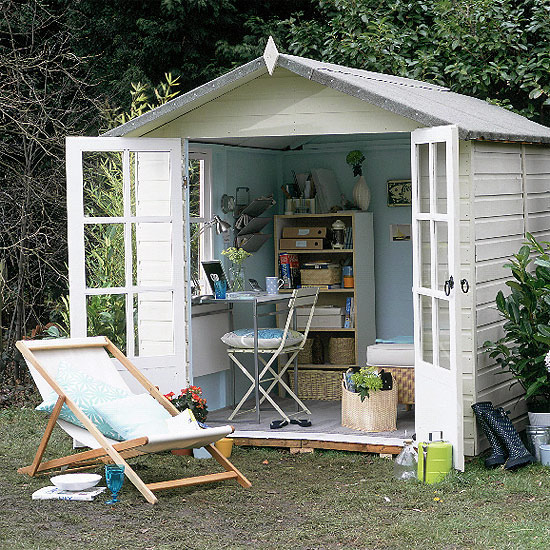 Oh to have your own work shed! What a luxury! Come to think of it, this is a simple project and all you need is space in your backyard. You can even use recycled wood to keep the cost down. What do you think? When forced to work within a strict framework the imagination is taxed to its utmost–and will produce its richest ideas. Given total freedom the work is likely to sprawl. *Note: I don’t own any of the photos featured in this post.